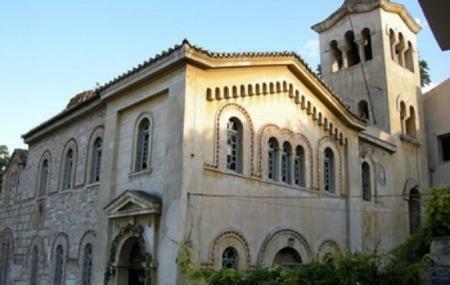 Located in Plaka, the neighborhood of Athens, the church of Agios Nikolaos Rangavas was built in the 11th century and today stands as one of the reminders of Byzantine times. This church is built in a simple four-aisled, cross-in-square design and is topped with a small octagonal dome of the Athenian era. This church belonged to a Byzantine family named Ragavis after whom it has been named as well. Although this church suffered a severe neglect during the 19th century, it was subsequently reshaped and reconstructed in the 20th century. According to the Greek tradition, the bell of this church was the first to ring out following the liberation of Athens from German occupation on 12 October, 1944. A visit over here is a must for some somber reflections! How popular is Agios Nikolaos Rangavas? People normally club together Kanellopoulos Museum and Bath House Of The Winds while planning their visit to Agios Nikolaos Rangavas. People also prefer to start their day with Agios Nikolaos Rangavas. Great piece of Byzantine architecture, but closed most of the time for visitors. Oldest church in Athens, very interesting history. A very historical church. Apparently open between 9 and 12 on weekdays.